Trip Highlights : Gateway of the Himalaya Tour to to holy city for Hindus & starting point for treks to Himalayan pilgrimage centres Char Dhams, Most popular attraction of Rishikesh are Laxman Jhula, Har-ki-Pauri in Haridwar.It is one of the most sacred Ghats of India and also known as “Brahmakund” & much more. Day01 : NewDelhi To Rishikesh - Welcome to New Delhi(India).Where you will be met & greeted by Hill stations tour planner executive at a convenient location in Delhi.After ample rest you will proceed to Rishikesh, Rishikesh (Gateway of the Himalaya).Upon arrival in Rishikesh, check in at pre-booked hotel & time free at leisure.Overnight at the hotel. 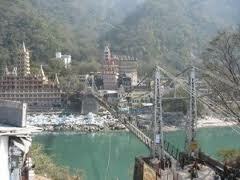 Day02 : Rishikesh To Haridwar - Enjoy the breakfast and set out on a Sight seeing tour of Rishikesh. It is a holy city for Hindus & starting point for treks to Himalayan pilgrimage centres Char Dham such as Badrinath Kedarnath, Gangotri and Yamunotri.People from all across the world come here in search of meditation, yoga and other aspects of Hinduism. Most popular attraction of Rishikesh and Laxman Jhula ,hanging bridge which offers a beautiful and breathtaking view of the river Ganga, Visit Bharat Temple, Rishi Kund, Gita Bhawan, Parmarth Niketan. Post lunch proceed to Haridwar, an hour’sdrive from Rishikesh. 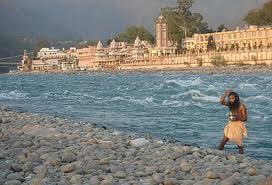 Check in at Hotel & overnight in Haridwar. 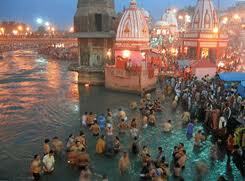 Day03 : Haridwar Sight Seeing - After breakfast, proceed to sight seeing tour of Haridwar.Visit Har-ki-Pauri . 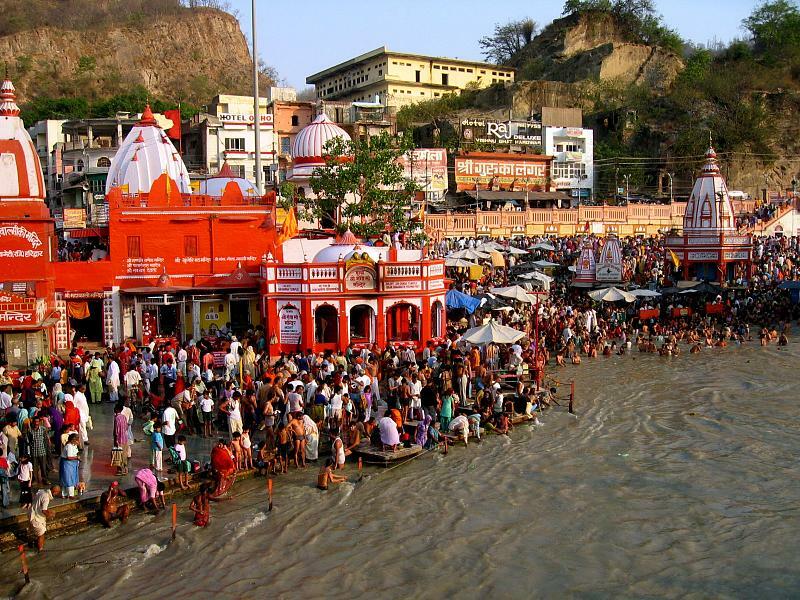 It is one of the most sacred Ghats of India and also known as“Brahmakund”. The real beauty is the evening aarti when the ghats of Har-ki-Pauri command rapt attention from the onlookers.There are numerous Hindu ritual and ceremonies performed on the banks of Ganga. Enjoy the spiritual time by hearing the temple bells and watching devotees offering prayers or taking a holy dip. The other attractions here include the Chandi Devi Temple on top of the Neel Parvat and the eight-storeyed Bharat Mata Temple towering over the town,ShantiKunj, GayatriTemple, Saptarishi Ashram.The bazaars of Haridwar display kumkum (vermilion), rudraksh, Gangajal Ayurvedic medicines and precious stones.The famous bazaars include Moti Bazaar, Upper Road, and Jwalapur.After sightseeing in Haridwar return to your hotel and overnight in Haridwar. Day04 : Haridwar To Delhi - After a sumptuous breakfast at the hotel, drive back to Delhi. Upon arrival in Delhi, you will be transferred to the airport for you onward flight or destination. End of the Trip with unforgettable sweet memories. Hill stations tour planner ,thank you for your visit to India. The Trip Cost is inclusive of : Assistance on arrival or departure at Airports/railway stations. Accommodation at above mentioned or Similar Hotels. Daily Bed Tea, breakfast, Dinner at Hotels. Sight seeing tours, pick-up & drop by ac luxury Tata Manza or Ac Indigo Car with trained & professional driver. All current applicable Hotels taxes. Trip Cost (With Deluxe Hotels) : Rs.10,850/Per Person. Trip Cost (With Luxury Hotels) : Rs.15,750/Per Person. Trip Cost (With Deluxe Hotels) : Rs.13,950/Per Person. Trip Cost (With Luxury Hotels) : Rs.19,850/Per Person. Note : If require, trip cost for Infant, child, Group available on request. Package can be customised with any other hotels or Volvo Bus Tickets or Air Tickets or Train Tickets. For travel during Christmas, New Year, long weekend extra charges will apply.